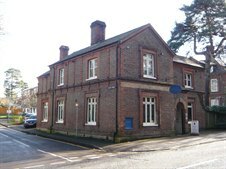 Cattaneo Commercial is pleased to confirm that they have concluded the sale of The Old Post House, 91 Heath Road, Weybridge, a 2,245 sq ft character office building. We experienced strong demand for this building and as a result we had to disappoint a number of prospective buyers. Therefore, if you are considering selling or letting your commercial premises in Weybridge please contact Andy Armiger on 020 8546 2166 as we have a number of buyers waiting.